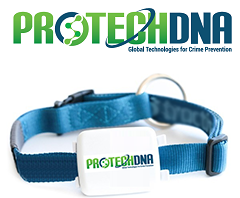 Pet Net DNA is a combination of technologies to protect your pet. PetNet is the most comprehensive pet tracking and protection program. extended out technology to assist community animal control agencies to quickly identify lost pets and return quickly their owners. Each pet will have their own profile page. The owner will provide important details that will assist in recovery. As a user of the PetNet program you can immediately send out a lost pet alert to local animal control and all users within your community. The alerts will include all the details you have provided in your pet profile. The pet owner can set up the pet profile to assist in the event of loss or stolen. The tracker will send a frequency that is detectable by mobile devices within 100'. If the pet is lost or missing the pet owner can indicate the status from their home page on a PC or the mobile app. Once the status is updated to missing or lost, a notification will be sent to animal control within the jurisdiction of the alert, if animal control is active. This change in status will also activate "PetNet" a network notification will also be distributed to local users with a description of the pet, including picture if it was provided in the pet profile. If the pet should come within 100' of an active app user, it will detect the lost pet, providing an alert to the user which is in range, and sending a location update back to the pet owner as well as animal control. Animal control will have the ability to scan any recovered pet, even if the pet was not reported stolen to obtain pet information including owner's details.